On-loan Trabzonspor striker, Caleb Ansah Ekuban has reiterated that he is ready to fight for his position at the Black Stars. The Italian born forward powered the Black Stars of Ghana to victory against Kenya in their final AFCON 2019 qualification match at Accra Sports Stadium on Saturday. The 24-year-old who looks very delighted after notching a goal on his debut for the West African country admitted his performance at Trabzonspor will earn him another call-up for the 32nd edition of the Africa Cup of Nations in Egypt. 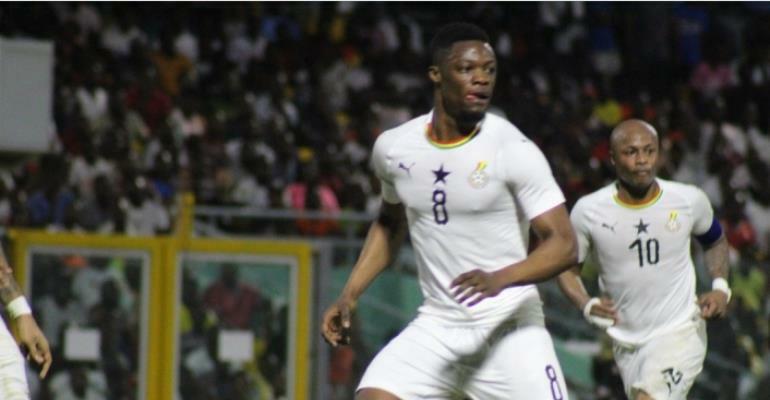 “I don’t think that the coach can decide in 30 minutes that I am good enough to be in the team that is going to the AFCON,” Ekuban said after the game. “I try my best at club level and will continue to work hard. If I do well, I will go [to the tournament] but if I don’t, unfortunately, I will not make it,” he added.